Replacement Siding Services In The Allegan Area. Affordable Replacement Siding Services In The Allegan MI Area. CertainTeed: Eco-friendly and a wide variety of styles and choices to create the desired look and feel of your home. Cedar impression siding has the rugged charm of cedar and comes in rough-split shakes, half-round cedar shingles, straight edge rough-split cedar shakes, and straight edge perfection cedar shingles with many different color choices. Mastic: Low maintenance, durable, and comes in a variety of colors for you to choose from to compliment your home. With various durable and affordable options to choose from such as vertical or traditional siding, you have plenty to choose from that are certain to save you money! For added protection and beauty to your home, Alcor Home Improvement provides professional home siding services in the Allegan area. Home siding provides homeowners a chance to customize the exterior of their homes with various materials, colors, and textures to choose from. Our home improvement team will work with you to review all options to determine which looks best for your home. Did you know that every window installed in your home must pass strict codes to withstand weather and other elements. 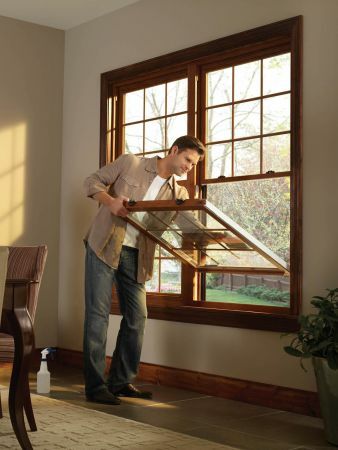 Although you may be adding new windows for a new style and design, you have to make sure it's installed correctly! At Alcor, you don't have to worry about that. With our extensive knowledge of everything that goes into window installation, we will give you the most eco-friendly, durable, safe, and stylish options to choose from. We use high-quality windows that offer a wide variety of design and hardware options and are backed by a great warranty. By replacing your windows with Energy Star certified windows, you have options such as Ply Gem and Simonton to choose from. PLY GEM windows are engineered with strict AAMA standards in mind and designed to fit the unique needs of your home. None of Ply Gem's windows sacrifice quality or durability and will outlast similar windows, even their most affordable options will last for many years and increase your home's efficiency. Laminated glass is available for added noise reduction and advanced easy clean glass is available to reduce exterior cleaning. Simonton offers a wide variety of window lock, handle, and hardware options as well as colors and styles that fit your design and budget. Using eco-friendly vinyl means that your windows will be durable and last for years to come, and Alcor's expert installers will ensure that your windows are sealed and set up perfectly for maximum energy savings. We have served West Michigan for over sixty years by staying true to our core principles of excellent customer and personal service, high quality materials, and highly efficient and fast installations. Our metal roof contractors will provide you assistance with the design, process, and product selection to make sure you stay within your budget while still getting exceptional service. Call us today for a FREE estimate and we'll start making your dreams a reality. Grand Rapid's most trusted contactor for metal roofing, siding, windows, and sunrooms. The contents of this webpage are Copyright © 2019 Alcor Inc.. All Rights Reserved. Alcor Home Improvement has been serving Grand Rapids and West Michigan for over sixty years providing professional renovation services for your home windows, siding and roofs. Specializing in commercial roof installation for homes and businesses. Call us today for services in Grand Rapids, Holland, Kentwood, Muskegon, Walker all of Western Michigan.